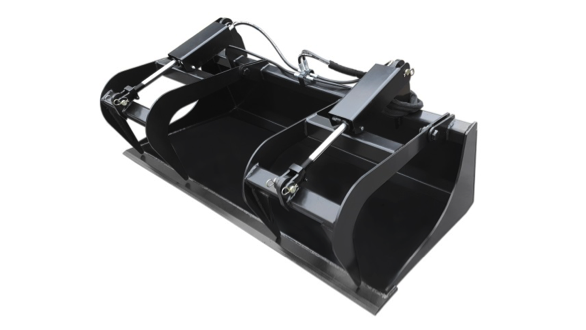 American Attachments economy grapple bucket is great for picking up piles of debris, rocks, short logs and other material. Suitable for machines up to 45 HP. Warranty is not available on the Economy Grapple Bucket.